There were four of us in the party. Myself; Keith Elliott, editor of the Classic Angling magazine in the UK; Mark Edwards, long time friend of Keith’s and a very successful predator angler; Mike Robinson, my friend and fishing travel partner with whom I’ve twice fished for the larger hump-backed Mahseer (Barbus Tor) in Southern India. 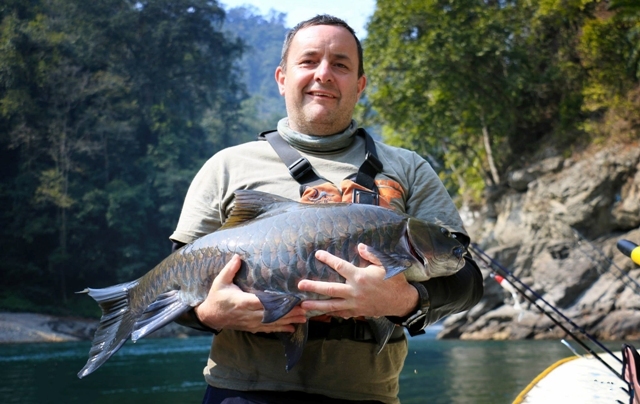 We had the benefit of advice from John Edwards, who now lives in London, probably the leading UK authority on Mahseer fishing in the Himalayas which results from his experience in running a successful trekking operation in Nepal and Arunachal Pradesh. John put us in touch with Nino Dai whose Outdoor Kettle company provided us with first rate guides whom I can’t recommend too highly. Also on the trip was Raj himself who came along as a cameraman. He shot some fantastic footage as we caught large Chocolate and Golden Mahseer from the swift clear waters of the Subansiri. I had brought with me a video camera to shoot some film for the Fishing Britain YouTube channel but my camera skills are very basic. Luckily we were able to use some of Raj’s great footage to make this excellent video which tells you more about our amazing trip than the written word ever could. The fishing wasn’t easy but the further we went downstream and away from any human pressure on fish stocks the more successful we were. To begin with, it was only the chocolate mahseer that fell to our lures and these fish seemed to be deeper down in the current and liked to lie up along the rocky ledges where the Subansiri had cut gorges into the landscape. None of us had ever seen ‘chocolates’ before so we were excited to catch them. We had several between three and twelve pounds over the first few days. 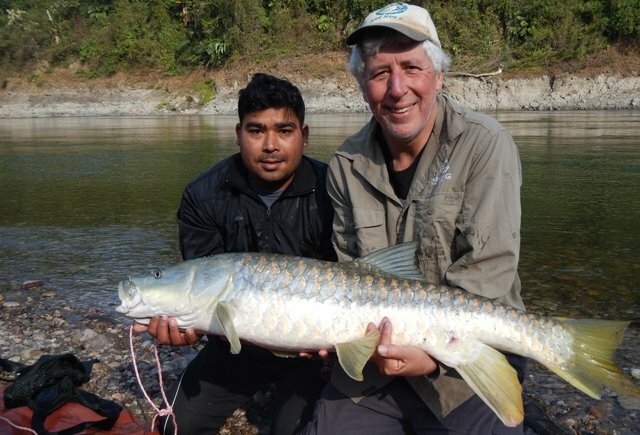 It wasn’t until we had gone down to the faster shallow water at Siburitti that we encountered the fish we had really come for – the golden mahseer. The first capture fell to Mark on a rapala lure fished one evening behind a rock around 500 metres upstream of our camp. It was only about 5lbs but we were pleased to be in the zone. Accompanying Mark was Mike Robinson who caught one of the best fish of the trip – a chocolate mahseer of 21lbs which could have even been a new world record. The problem is that nobody has ever claimed an official record for this species so it is difficult to know where to start. 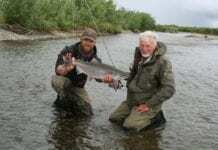 Certainly fish of this size are extremely rare and Mike’s specimen was the largest our guides had ever seen. From then on we felt we were in with a better chance of getting amongst the ‘goldens’ and so it proved. Three days of camping at the aptly named Golden Pools saw some fine fish landing including the largest of the trip – a 27.5lb beauty which I caught on a silver ‘Dexter Wedge’ lure fished across the current early one morning. That was not the only twenty pounder caught as Mark got himself on the scoreboard again with a 25lb fish from just above Chicken Rapids. Again this fish took a silver metal lure fished deep. Sadly, we lost any chance of further sport in the last couple of days when the river coloured up due to rainwater coming into one of the tributaries. I would describe Arunachal Pradesh as one of the last wildernesses left on Earth. It is tough terrain but the local people are friendly, the fishing can be amazing and the scenery is simply stunning. If anyone harbours a dream to battle with the mighty Mahseer in a wild and remote river there is no better place to visit. Adventure fishing is what I do but it can be dangerous and correct preparation is essential. I’ve written this guide based on what I’ve learned on my travels. I hope it will reassure anglers wanting to catch a fish of lifetime that anything is possible. Fishing dreams can be made to come true! Catching those dream fish – this much I know…. 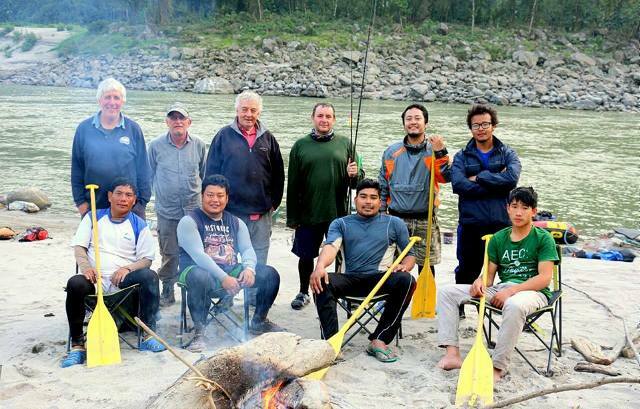 Finally, I hope that the people of North East India are successful in their battles to keep their beautiful rivers free from pollution and exploitation and that your governments recognise the huge potential of angling and adventure tourism. 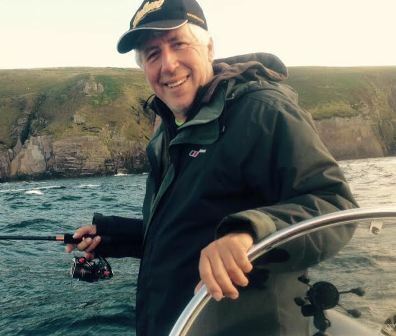 Martin is a retired Labour Politician and former Parliamentary spokesman for Angling, who now works as National Campaigns Coordinator for the Angling Trust – the UK’s governing body for all forms of recreational fishing. He left the House of Commons in 2010 and has fished all over the world catching Tarpon, Marlin, Bonefish, Barramundi, Kingfish, Giant Trevally, Sailfish and Tuna. In 1998 he caught a 92lbs Silver Mahseer from the River Cauvery in Southern India. Previous articleSALT (Part One) by Chris Wilson of Laguna Fishing Products.